My old Quarterback Bradley Dale Peveto (Twitter @coachpeveto) used to say..."I'm standing on G waiting on O". He was..and still is a high energy type of guy...a 3-time state champion in track and he owns multiple college football championship rings...both as a player and coach. I've always been around those that train at the highest levels and I've seen what it takes to be a champion. You can't just look at what you have to do to get better with a short run mentality. In athletics, you often know the time and date of an event or competition that you are training for...that makes part of the training process predictable. 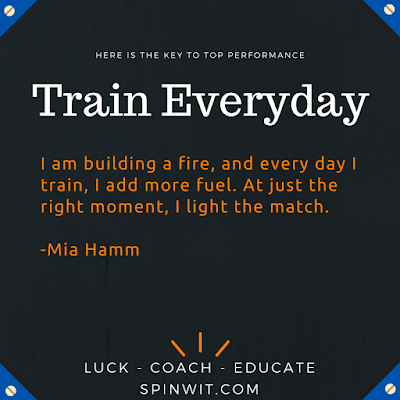 I liked this quote by Mia Hamm because I think it really illustrates the mentality of a champion athlete. The great ones shine brightest when it counts and many don't see all of the training that has gone on beforehand. Oftentimes many years in the making. In real life and in the business arena you don't always have the luxury of knowing exactly when you will need to "light the match". Your training and preparations for what life throws at you are at times not so clear. 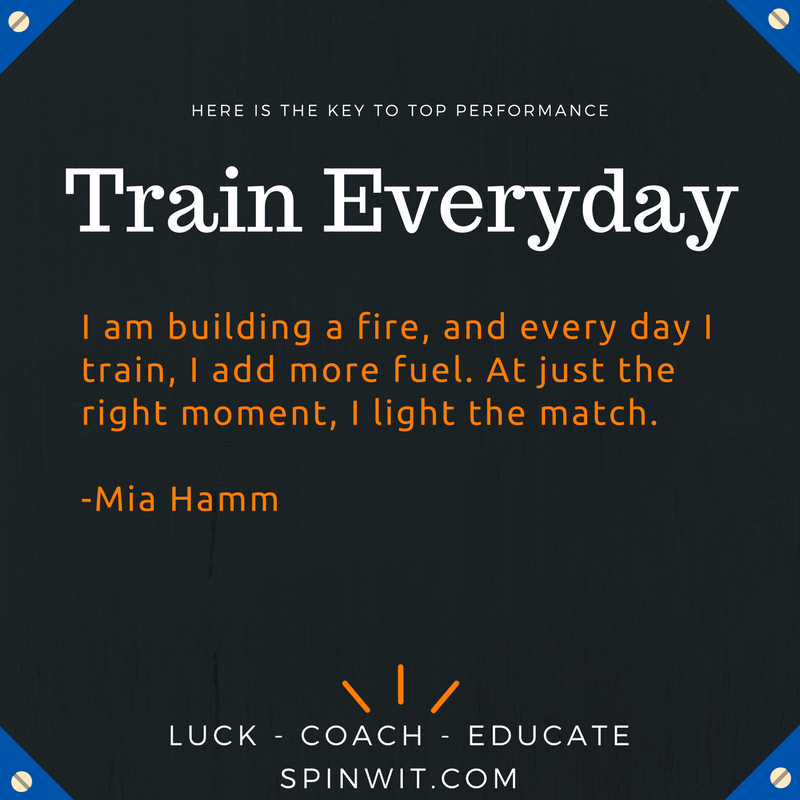 Sometimes you can get bogged down on what you are doing in an hour or tomorrow or next week...losing focus...not having a clear picture of what you are "training" for. There will always be opportunities that need to be taken advantage of...and as you keep learning and growing...always getting stronger...you will be ready when the opportunities present themselves.